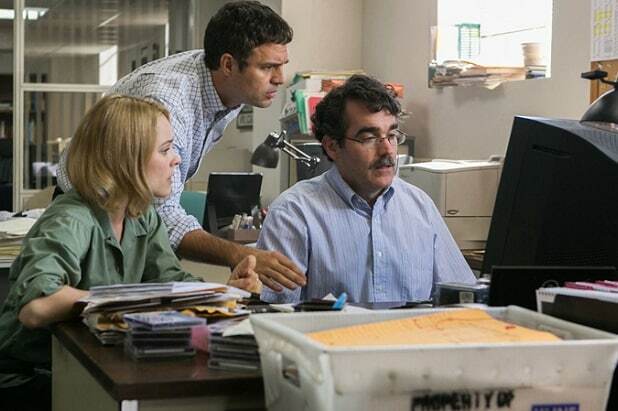 “Spotlight” was named Best Feature at the 25th Gotham Independent Film Awards in New York City on Monday. Director Tom McCarthy’s film about the Boston Globe’s investigation of the Catholic priest abuse scandal also claimed the best screenplay prize for McCarthy and Josh Singer, and its ensemble cast was given a special jury prize. The lead acting prizes went to two underdogs. “Love & Mercy” star Paul Dano took home the best actor award for his portrayal of young Brian Wilson in the Beach Boys biopic directed by Bill Pohlad. Joshua Oppenheimer‘s “The Look of Silence,” a companion piece to “the Act of Killing” and a film about a family of Indonesian genocide survivors, won the best documentary award. Jonas Carpigano took the Bingham Ray Breakthrough Director prize for “Mediterranea,” a refugee story that premiered at the Cannes Film Festival in May. The dystopian USA series “Mr. Robot” won the first-ever Gotham Award for breakthrough longform series, while “Shugs and Fats” won the shortform award. The Gothams had never before honored TV or video content. “The Diary of a Teenage Girl” went into the ceremony with the most nominations, four. “Carol” was second with three, but it went home empty-handed, except for a career-achievement honor for its director, Todd Haynes. “Spotlight” won in the two categories in which it was nominated, along with taking the special jury award. The Gotham Awards, which are chosen by small juries, are not typically a reliable indicator of what other awards bodies will choose, although last year’s winner, “Birdman,” went on to win the Oscar for Best Picture. That was only the second time the two ceremonies had honored the same film, the first being “The Hurt Locker” in 2009. The awards, which are produced by the Independent Feature Project, took place at Cipriani Wall Street in New York City, with special awards going to actors Helen Mirren and Robert Redford, director Haynes and producer Steve Golin. The show was hosted by Abbi Jacobson and Ilana Glazer. Presenters included Harvey Keitel, Julianne Moore, Alejandro G. Inarritu and Dan Rather.